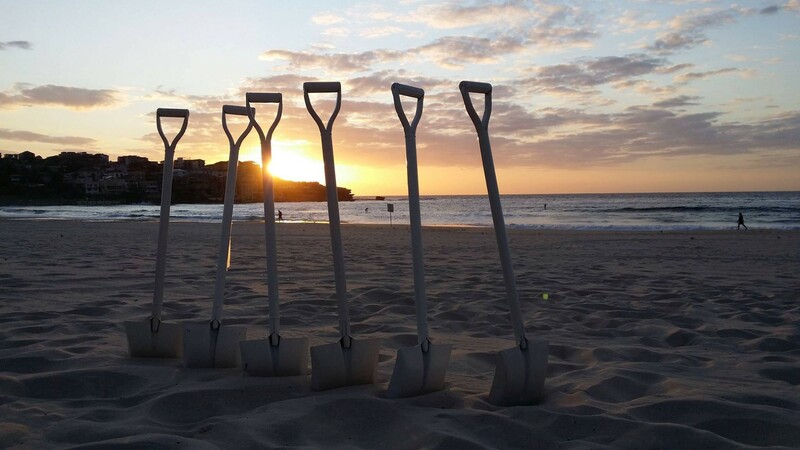 As the sun began to rise, the Transplant Australia team arrived on the beautiful sands of Bondi Beach on Sunday the 22nd of November to celebrate DonateLife Thank You Day. 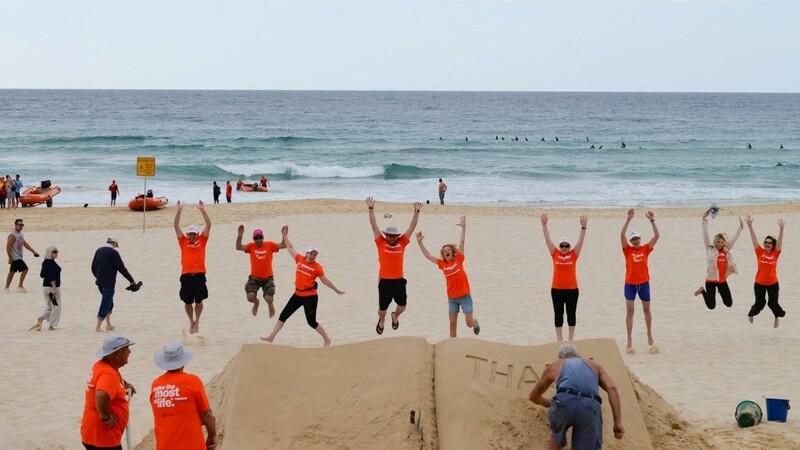 Our plan was to erect a huge thank you card in the sand as a way to show our thanks for the organ and tissue donors of Australia and their families who agreed to donation. Our day kicked off at 5:20am, setting up our camera to capture all the action of the day through time-lapse photography and then we began to shovel sand as the sun rose to its peak. 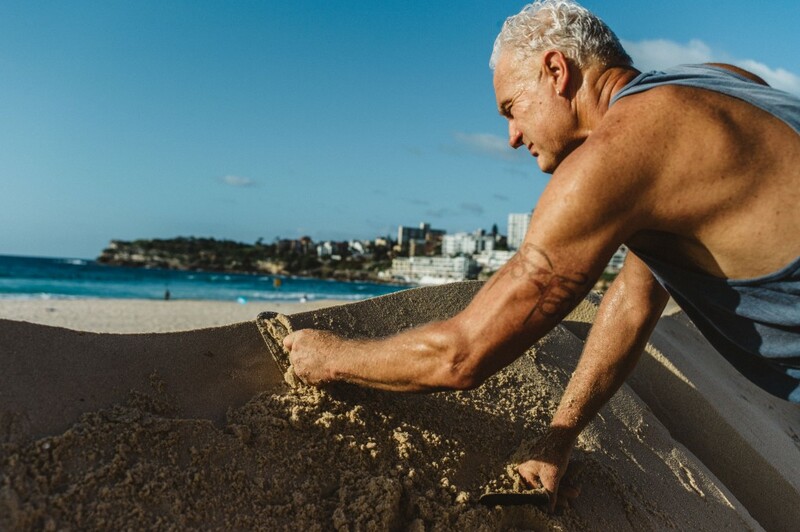 We were joined by a number of transplant recipients, our wonderful living donors and donor families, the curious public, our sponsors and our professional sand-sculptor, Jino van Bruinessen, who throughout the day worked his magic to create our gigantic thank-you card. Our DonateLife ThankYou day event attracted people from all walks of life. They came from all over Sydney and from as far away as Melbourne to help, watch, photograph and talk about the importance of organ donation and celebrate the gift of life. 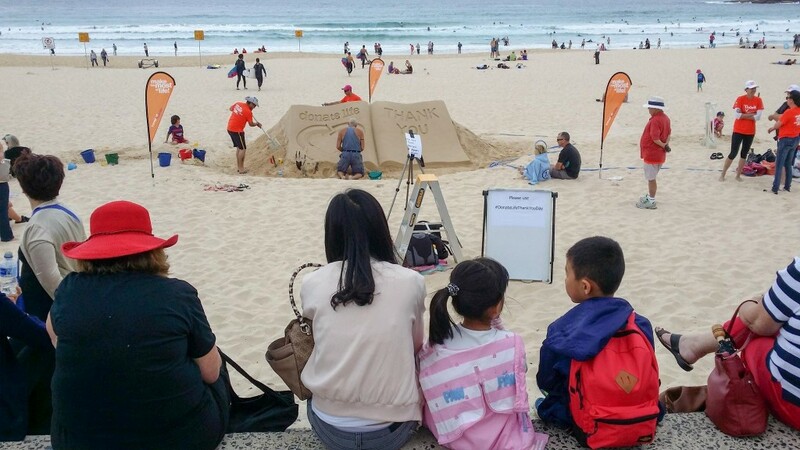 During the 7 hours that it took to build our thank you card, the construction itself caught the attention of locals and visitors at the beach. Curiosity piqued as people tried to guess what we were constructing, which was a great conversation starter. Everyone got involved, selfies were in abundance and video messages of thanks were recorded on smart phones and uploaded directly to social media using the hashtag #DonateLifeThankyouDay. 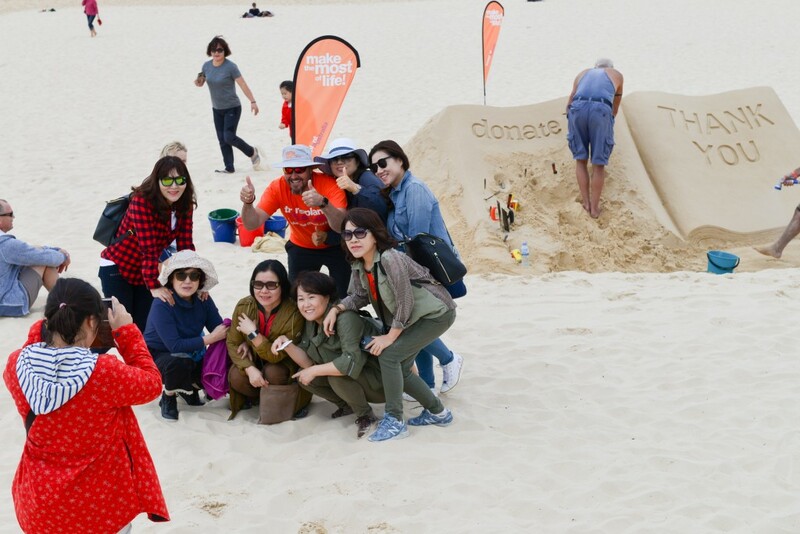 DonateLife Thank You Day and the Bondi sand project gave transplant recipients a wonderful opportunity to say thank you to their donors, who they don’t get a chance to meet and thank personally. Max Mohr, a liver recipient said, “It’s events like today that give us a chance to say thank you to our donor families, I’ve never met mine and I’ve always wanted to say thank you and not really known how, this helps give me closure.’ Many transplant recipients echoed this thought and took to our Facebook page, Twitter and Instagram to share their personal thank you messages. Here are just a few that caught our eye. Here is a short video which captured our whole day from start to finish and features some of our transplant recipients saying thank you. We hope you enjoy it. 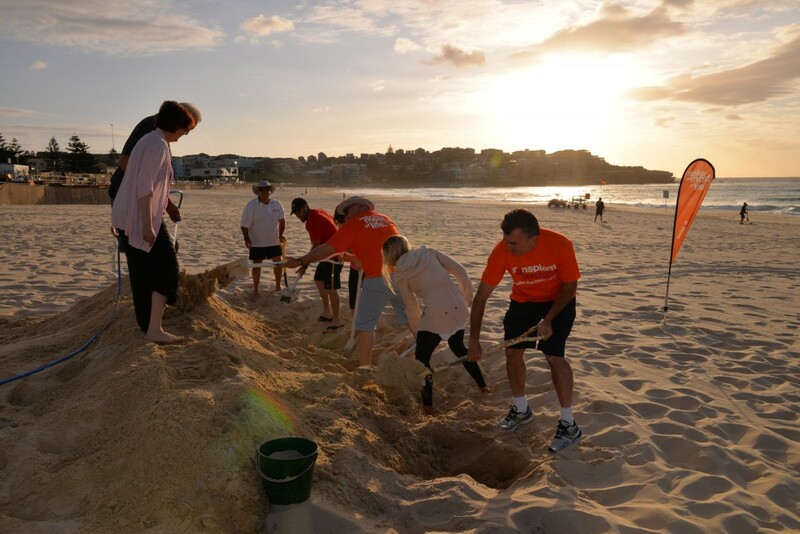 Also, we’d like to say a special thank you to our volunteers and sponsors who assisted on the day: Astellas members Rochelle Porter and Jess Conley; Sandstorm Events and Jino van Bruinessen; NSW Health Organ & Tissue Donation Services, Johanna Waide, Leah Upcroft and Danielle Fisher; Waverley Council; The Hon. Gabrielle Upton – NSW Attorney General and Member for Vaucluse; Volunteers: Carlo Muscatello, Ess Vaun Photography, Joseph and Lisa McCue, Max Mohr, Michelle Daley, Alex Haddad, Phil Pike of Gift of Life, Sinaed McGowan, and the countless other people who joined in and kept us company – Thank YOU!